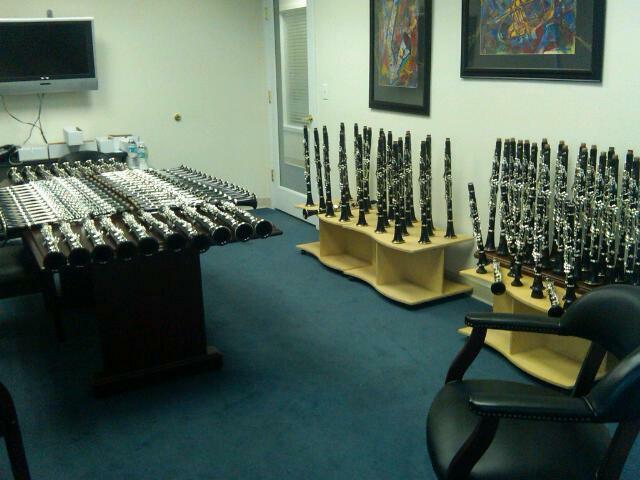 Welcome to Professional Wind Instrument Consultants of New Jersey (PWIC). We are a musical instrument and accessory dealer catering to the needs of professionals, educators and serious students. We carry only the finest professional instruments and accessories, and provide selection services by some of the top pros in the industry. We work by appointment only to focus on our clients' needs and requirements entirely and without distraction. Stick to what you know. It seems simple enough in concept but difficult in practice when you are running a business. There are so many musical products to sell that would make money for us, but we aspire to more and less than that at the same time. We want to provide you with expert service and advice on a limited universe of instruments which we believe represent the finest of the craft. You will find no instrument-shaped objects (ISO’s) here and of the top-tier brands we do carry only the models we believe best meet the performance needs of our clients. If we do not believe in a piece of equipment, we do not try to sell it to you. The process of selecting a new instrument is arduous and deeply personal for a performer but we try to make the experience as smooth and rewarding as possible. We also recognize that as precision-manufactured as these instruments are, each one is unique with nuances in material, dimension, fit, finish, sound and pitch. For that reason we select our inventory carefully ourselves and in consultation with performing artists to be certain what we have available is representative of the best-of-breed. Not every instrument will suit every artist, but ideally we can find the right instrument to fit any set of requirements. When we were little kids and our parents took us to the neighborhood music store for our first instruments, nobody said anything about the consumables and the gadgets that are part of this business. Not too long into it our parents learned about such things as reeds. No, they do not last forever and no you cannot buy them one at a time. Years go by and we are purchasing our first professional instruments and much to our parents’ chagrin it doesn’t stop there. There are mouthpieces, ligatures, barrels, bells, bocals, head joints, lead pipes, knives, planes, glasses, cases, and tuners. We get it, and we have them. And if you do not see what you are looking for, ask. We can probably get it for you. We also do block pricing for teachers who aggregate large orders of specific items for themselves and their students. 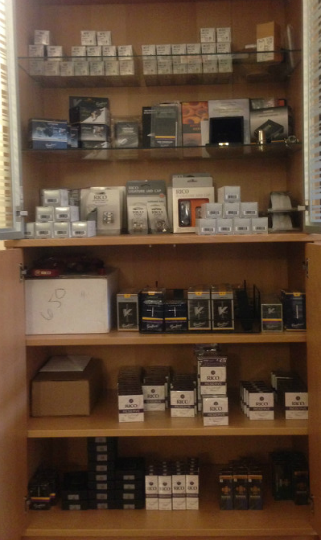 For our mouthpieces and barrels, we are proud to now offer selection services as well. While we stand behind all of our products, we have taken the extra time to determine specific qualities of each barrel and mouthpiece, and grouped them according to performance attributes. In much the same way we specifically select each instrument, we are working to bring you the best accessories for the best performing experience. Please call or email us for details and pricing of this service. Welcome to Northbranch Records. Our record label is dedicated to presenting you a selection of wonderful yet seldom heard classical works for solo and small ensemble. These works are performed by talented musicians with extensive performance credentials whom you may not have encountered in commercial recordings yet. It is our goal to provide you with an intimate encounter with the performers and music as you would experience them if the performance was presented for you alone. In pursuit of that goal, we are pleased to present these performances to you for your private enjoyment. In a time where so many performances are edited, filtered, and heavily sterilized, we proudly present our recordings as an alternative. We hope you enjoy the music, and perspective, as much as we do! By working principally with professional performing wind artists, we are able to commit our resources to satisfying the exacting requirements of players in leading ensembles worldwide. Our goal is to simplify the instrument acquisition process. Despite the manufacturers’ claims, no two wind instruments are exactly the same. There are variations in materials, be it wood, rubber, composite or metal, and the hand-tooling processes introduce slight differences. Our selection process allows us to be precise in picking out instruments that carry the attributes most valued by our clients – pitch, sonority, evenness and resistance, among others. We pride ourselves on going through many instruments on a selection trip and bringing back only what satisfies our criteria. Each instrument that meets our standards is carefully cataloged according to what makes it distinctive, and this information is used to assist our artist clients in their own personal selection processes. Our consulting artists are what truly distinguish us as a wind instrument boutique. For instance, Mark Nuccio, our lead consultant for clarinet and Acting Principal Clarinetist of the Houston Symphony and Associate Principal and Solo Eb of the New York Philharmonic, is responsible for our exceptional reserve selection of Buffet Crampon & Cie. Bb, A and Eb clarinets. Our consulting services are not just for instruments. We also extend our selection standards to accessories. In addition to the trips that we make to do selections for our own inventory, we also work on request. If you are looking for a specific type of horn with specific characteristics let us know. When we make the inventory trip, finding you your instrument will be on the top of our list. Give us a call for more information about our individualized selection services. Follow us on Facebook for up to date information on our searches. PWIC is proud to have talented, performing artists involved in our selection process.